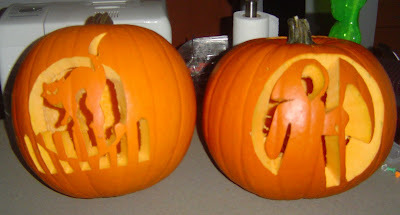 We've been using this trick to carve pumpkins for a couple years now. 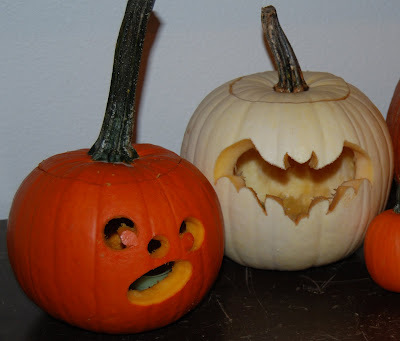 I always had a hard time trying to design my own pumpkin face to carve, so we find templates online (or you can draw your own on paper). Here are 2 that I did this year with this technique and then some from a couple years ago . . .